Ignacio, CO. The board of directors has been working diligently to set up a date for the next fundraiser event. If you or someone you know would like to contribute to habitat, conservation and local organizations, please let us know. We’re always looking for volunteers. 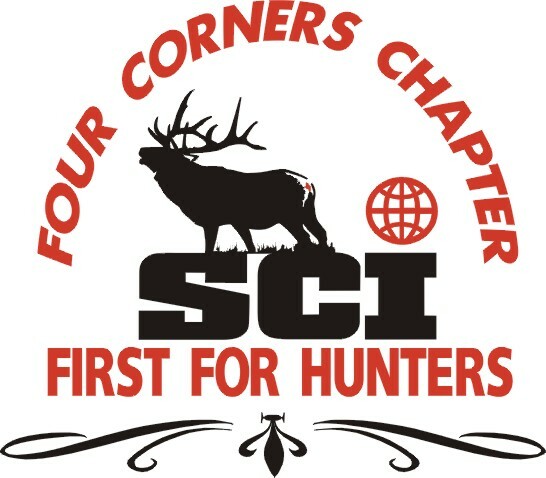 16th annual Four Corners Safari Club banquet/fundraiser will be Saturday, April 16th, 2016 at the Sky Ute Casino. Doors open at 4:30pm. TICKETS: Single tickets $55; Couples tickets $100; 10 seat and corporate tables are available. The clock’s ticking. Make sure you get your tickets! FRAMED AND UNFRAMED ART – SCULPTURES AND MORE!!! For more information or tickets please fill out the contact form below. SEE YOU THERE!! !